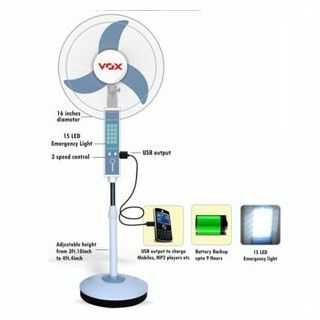 Shopclues is offering best Offer on Vox Multipurpose Pedestal Fan with inbuilt Emergency light and Mobile Charger . Here we can get 48% Off on this Product. Coupon Code : SCAPLL2 , Use this Coupon code to get this Offer .